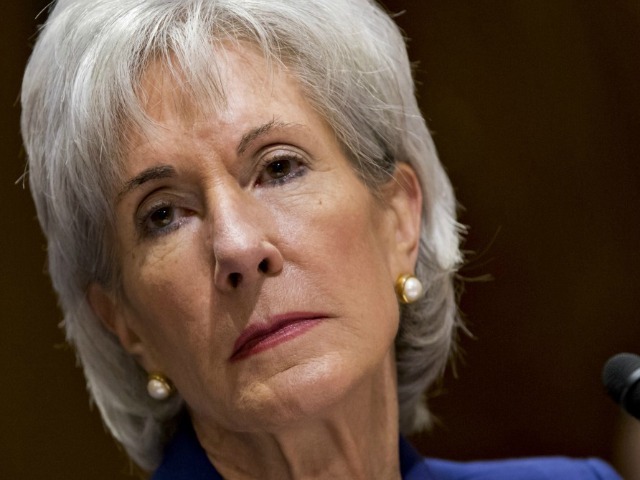 Embattled Health and Human Services (HHS) Secretary Kathleen Sebelius sparked controversy on Tuesday when she contradicted her own previous statements by denying that the Obama administration aimed for seven million Obamacare enrollments by March 31. In a HuffPost Live video segment with progressive commentator Marc Lamont Hill, Sebelius was asked whether Vice President Joe Biden’s recent comments that there will likely be just five or six million Obamacare sign-ups before the deadline still represented a success. Oddly, Sebelius told Hill that the White House never considered the seven million figure a benchmark for success. However, in September 2013, NBC News asked Sebelius what success would look like for Obamacare. Sebelius’s contradictory statements are just the latest Obamacare-related headache for the White House, as the unpopular Obamacare program continues to threaten vulnerable Democrats heading into the November midterm elections. After nearly four years of Obamacare, just 39% of Americans approve of Obama’s signature legislative achievement.